3DPrintingIndustry.com are back again with their 2nd annual 3D Printing Industry Awards 2018, in partnership with Protolabs. Protolabs is the world’s fastest manufacturer of custom prototypes and on-demand production parts, with 3D printed parts available for next day delivery. The final design will have access to the full capabilities of Protolabs, state of the art, additive manufacturing machinery. With this in mind, we want you to design a trophy that will celebrate the unique capabilities of 3D printing, whilst pushing Protolabs manufacturing capabilities to the limit. Protolabs can print in translucent/clear material, so think about how you can play with aesthetics, by adding internal cavities and features that will be visible from the outside. Make sure to add a render to your submission to demonstrate your design's internal features. In addition, the winning designer will be catapulted to 3D printing stardom, and immortalised through their winning trophy design for the official 3D Printing Industry Awards, in partnership with Protolabs. 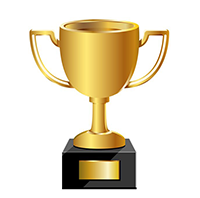 Design a Trophy for the 3D Printing Industry Awards! The theme of this 3D design challenge is designing a trophy for the 3D Printing Industry Awards, taking place on May 17th 2018 in London, that truly embodies the possibilities of 3D printing, and Protolabs' state of the art manufacturing capabilities. 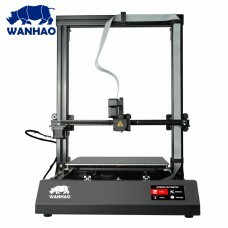 The 1st and 2nd prize for this competition is the amazing Wanhao Duplicator 9 and for 1st place only, your creation used as the official 3DPI Award! 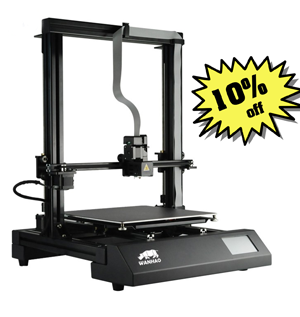 All participants will receive an additional 10% discount on the Wanhao Duplicator 9 printer, for purchases made before the Awards ceremony. 2. Make sure you read all the design constraints and download all designer resources so as to ensure you are on the right track. Struggling to understand some of the terminology? Fear not, we have provided some basic examples of below.